While fun and entertaining, events are parties are very strenuous to plan and execute, especially when it comes to food preparation for a large group. 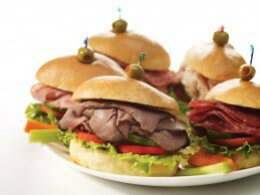 Hiring a catering company to provide the food at your next event is a great way to alleviate stress and save time. 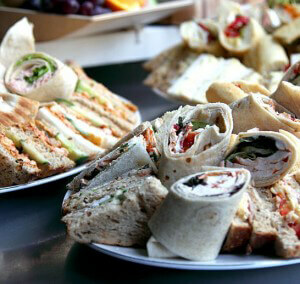 Select Sandwich has experience in providing delicious catering for many different events—large and small! Baby showers and wedding showers can be a lot of fun. Celebrating the joining of two lives, or a little bundle of joy with family and friends is a wonderful thing. However, it can become quite stressful if you’re the one planning the party, or if you’re responsible for the food. Birthday parties—especially milestone birthdays—often have a fairly large crowd, and this can mean a lot of food! By hiring a catering company, you can ensure there will be enough food for everyone. If you’re planning on opening a business, a grand opening is necessary to attract attention to your location as well as new customers. It’s a similar situation if you’re launching a new location (in a chain, for example) or having a change in management. It’s considered to be good practice to have a grand opening celebration. Hosting a holiday gathering with family and friends can be stressful. 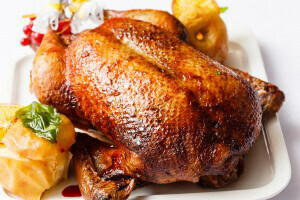 Christmas, Easter, Thanksgiving and even a new year’s eve gathering all require food for your guests. For larger families, this can make for an even bigger challenge as the number of dishes cooked increases. By using a catering company—even for a few dishes—you eliminate the need to have to cook things days prior! No matter what type of party or event you’re planning, having a catering company in charge of the food will leave you more time to enjoy yourself! 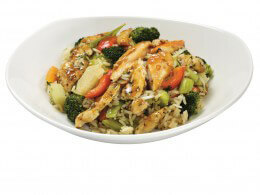 To learn more about the catering options we offer, or to book us for your next party or event call 1-866-567-5648 today!